This is a remarkable work of art. 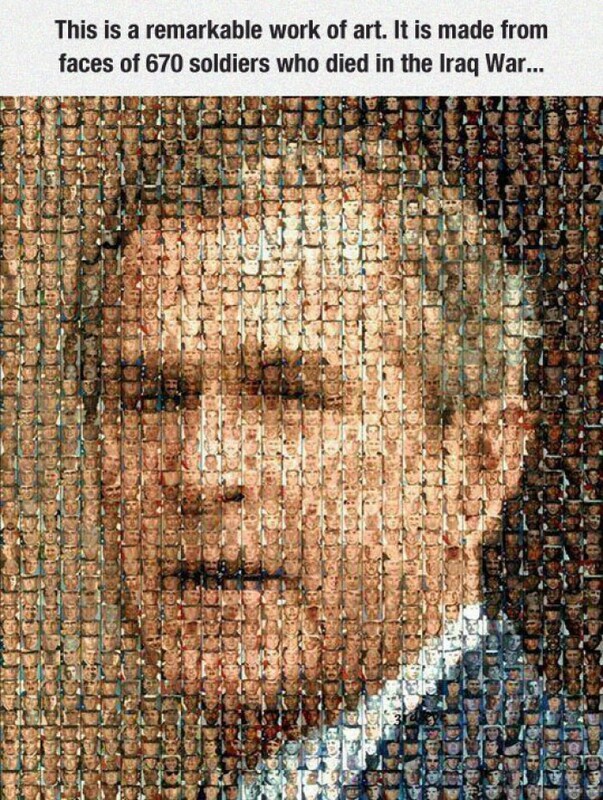 It is made from faces of 670 soldiers who died in the Iraq War. George W. Bush portrait. A mosaic of a tragedy.